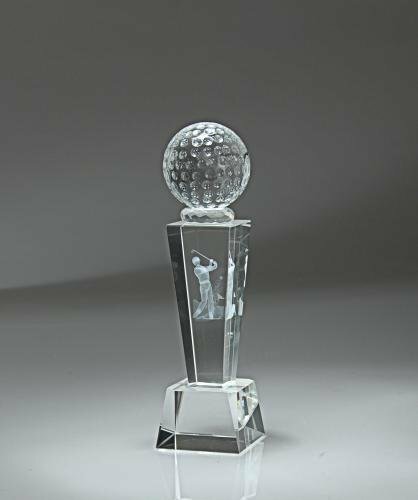 A Collection of the Crystal Awards and Gifts on Display in our Showroom. 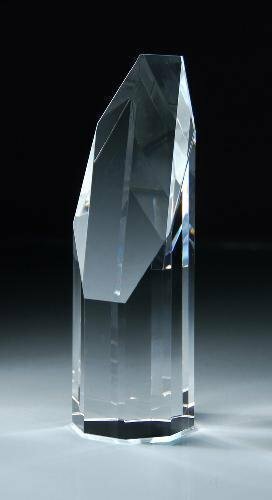 A Faceted Tear Drop Crystal Award with matching Crystal Base. 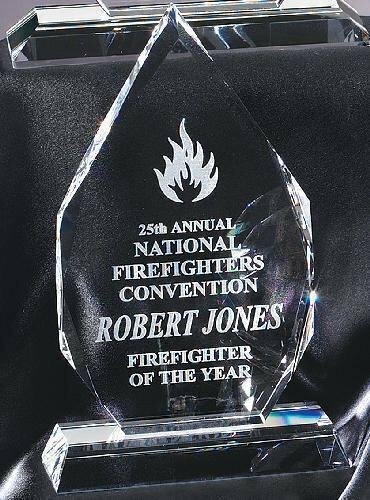 Ready for sand carving with your personal inscription with the highest quality etching available, comes with Deluxe Velour Lined Presentation Box. 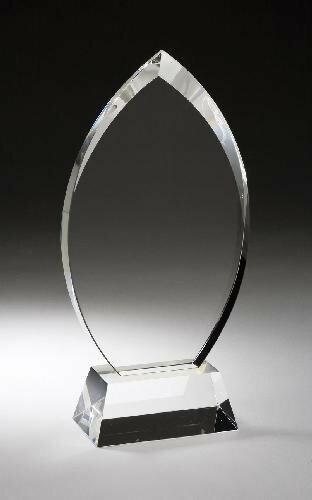 An Elegant Tear Drop Crystal Award ready for sand carving your personal inscription with the highest quality etching available on Crystal Base and includes a Deluxe Velour Lined Presentation Box. 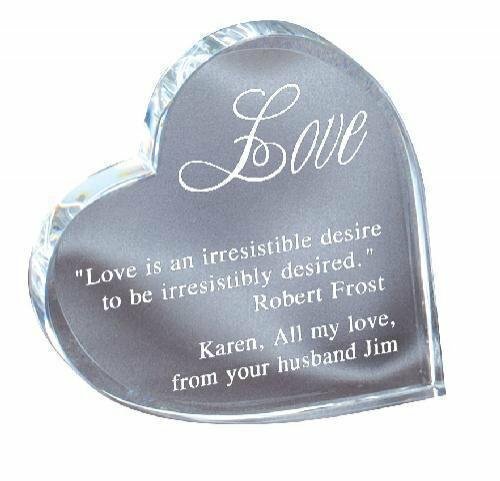 An Elegant Clear Crystal Heart on a Black Crystal Base. Ready to etch your personal inscription using sand carving, the highest quality technique available. Includes Deluxe Velour Lined Presentation Box. 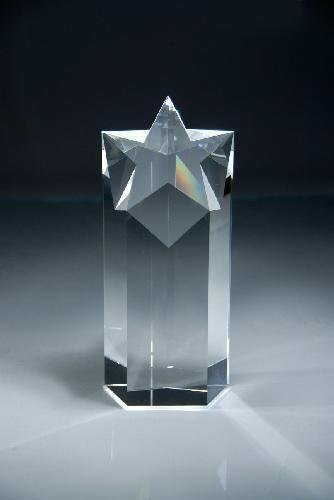 If you are looking for a sophisticated award, present, or trophy, our Large Crystal series possesses many appealing features. 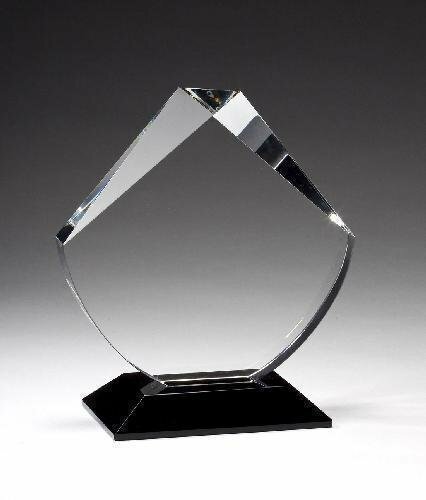 The LC27 Series has two exquisite vases to offer. 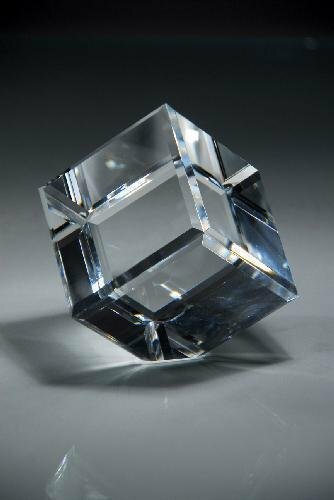 Both are beautiful enough to stand alone as pieces of artwork. The beveled mouth tapers down to a jet black base. 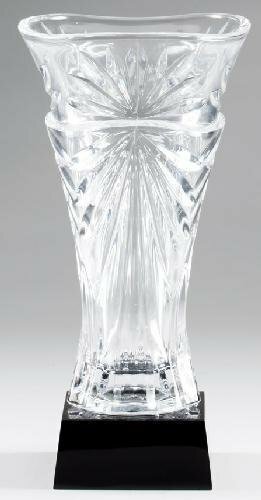 A sunburst design radiates outward from the center of the vase and fluted rays travel down and around the piece in a dazzling display. The wide open mouth allows a large bouquet to be placed in the vessel. LC27A stands over a foot tall, while LC27B measures just over 11” in height. Both will easily accommodate long stem flowers such as roses. 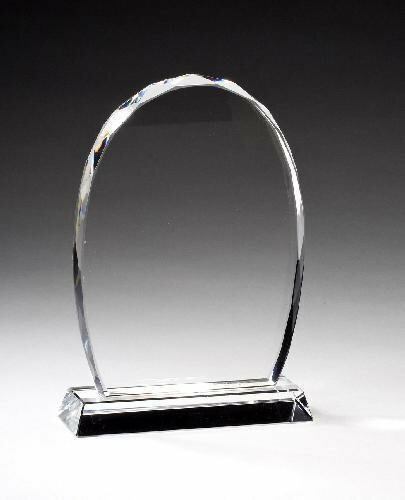 An Oval Faceted Crystal Award on Matching Crystal Base. Deluxe Velour Lined Presentation Box.